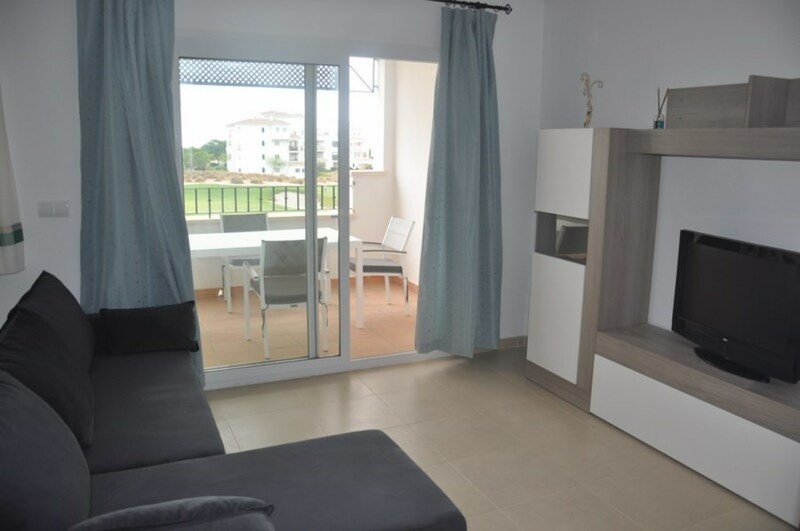 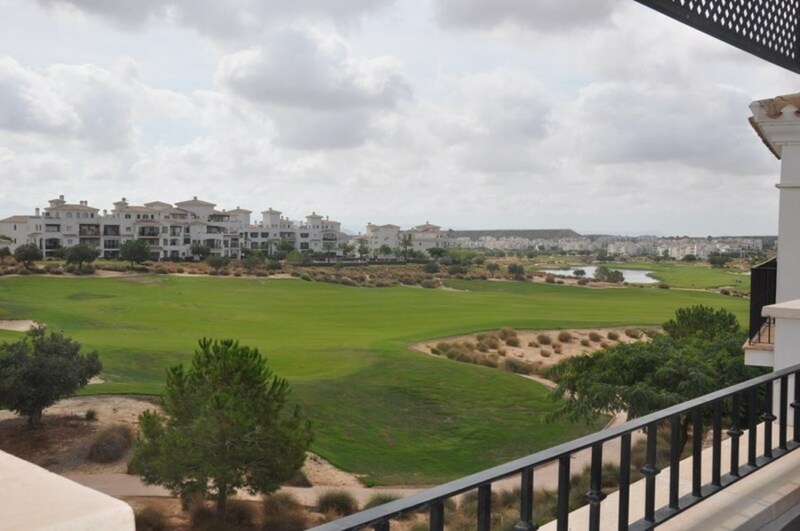 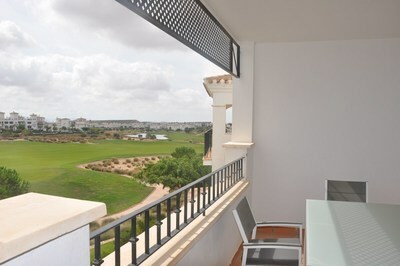 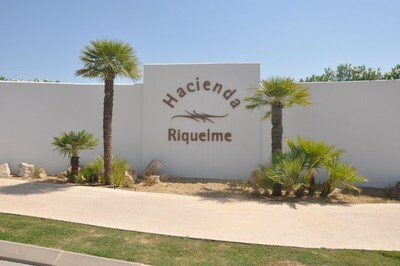 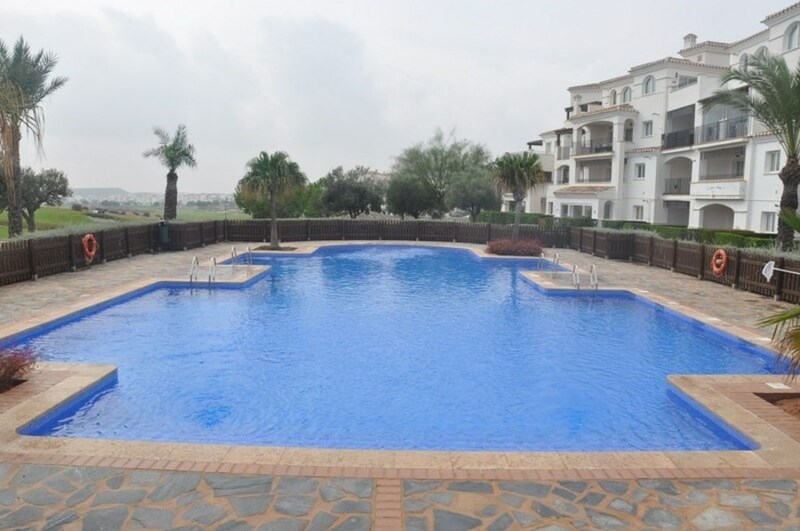 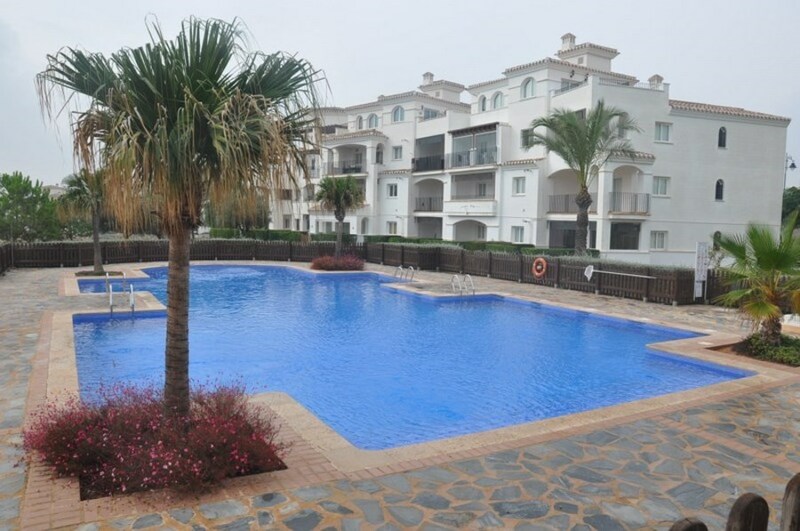 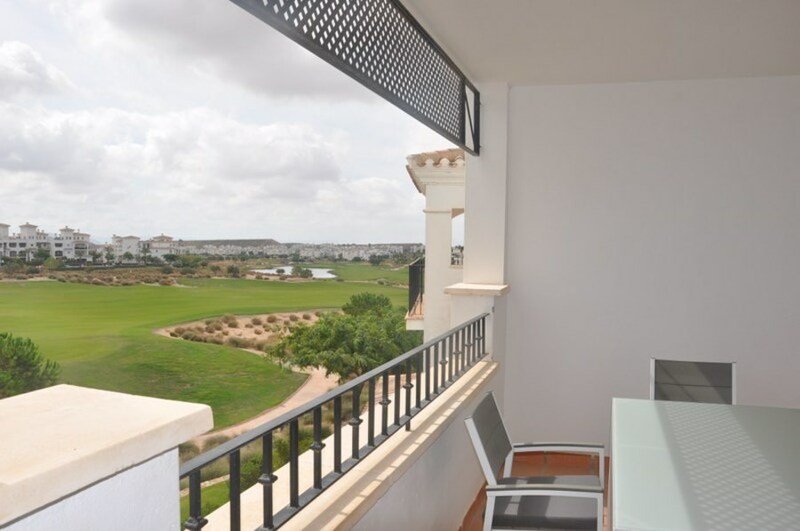 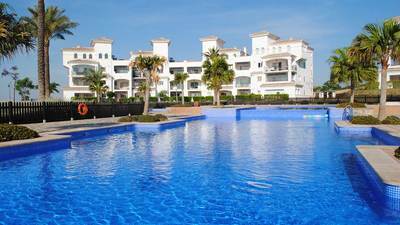 New to the market we have available this immaculate 2nd-floor apartment in Hacienda Riquelme Golf Resort. 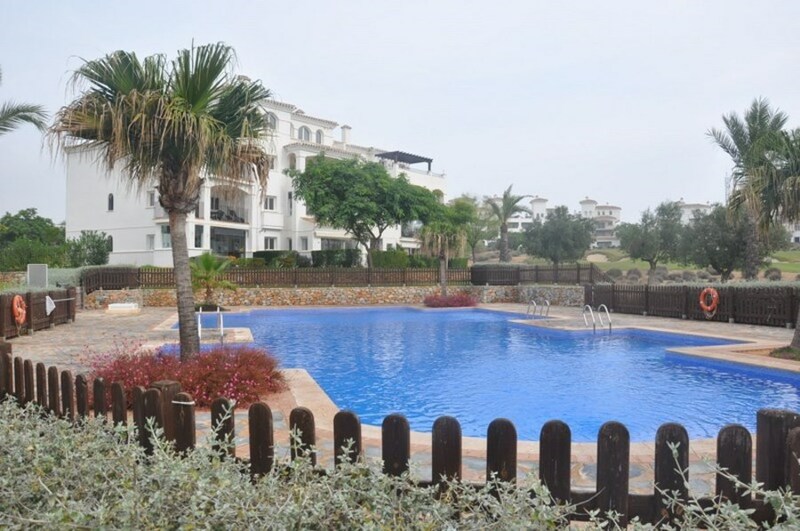 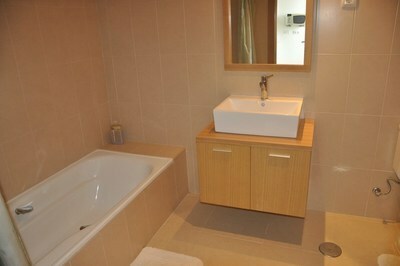 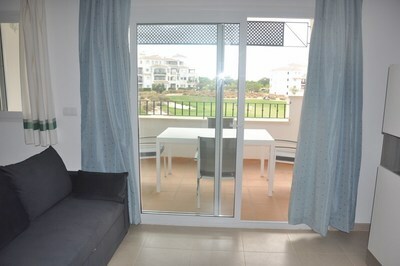 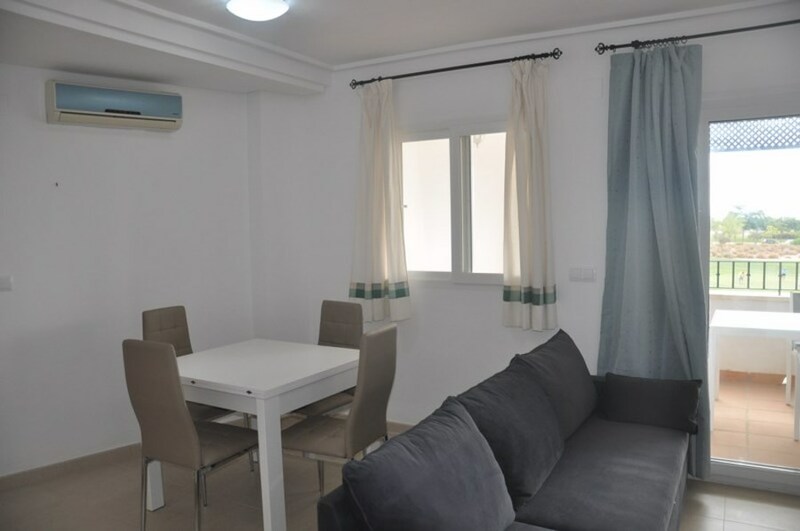 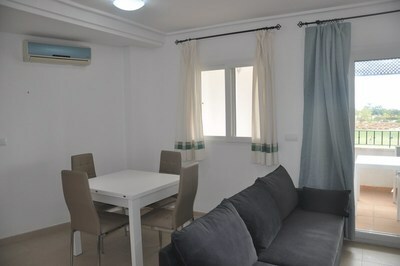 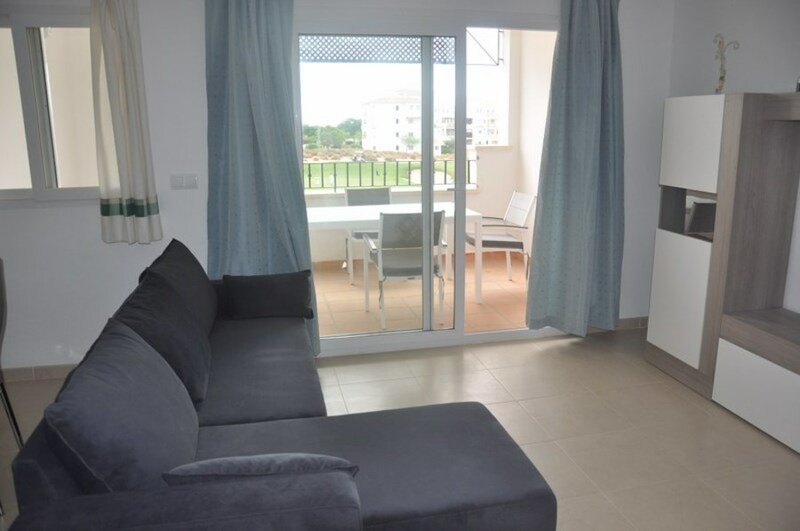 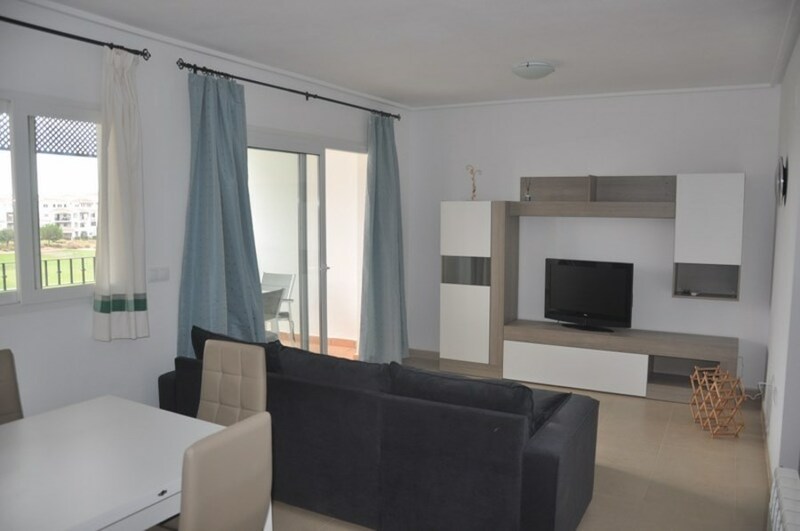 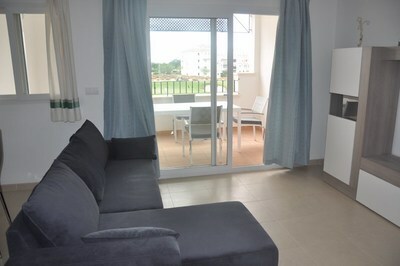 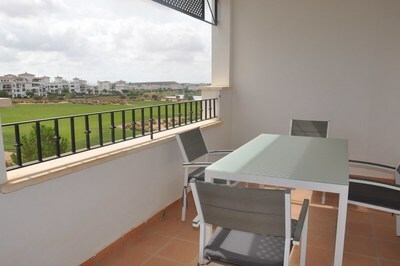 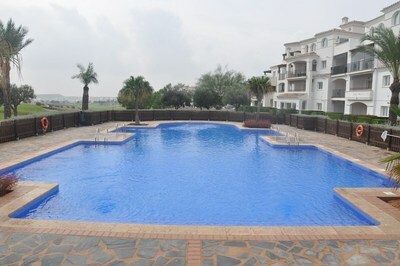 Located in this secure golf resort, This apartment offers fantastic value for money and is being sold fully furnished. 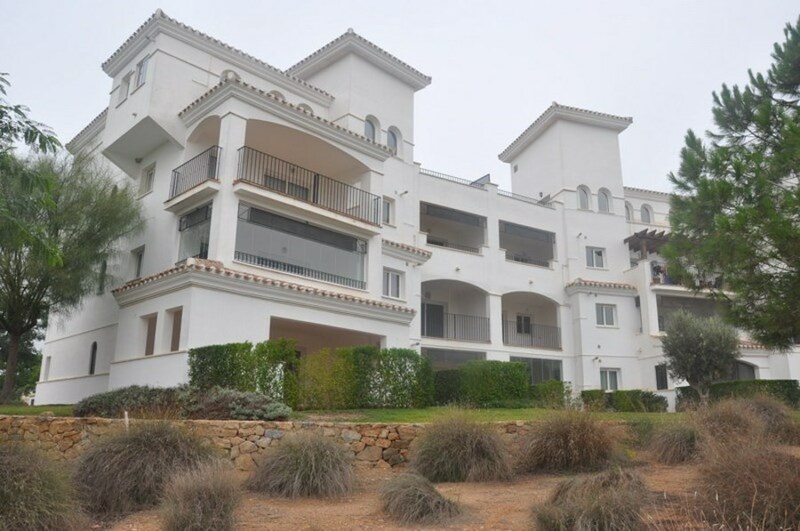 Inside there is a large open plan living and dining area with doors leading out to the terrace with spectacular views over the golf course. 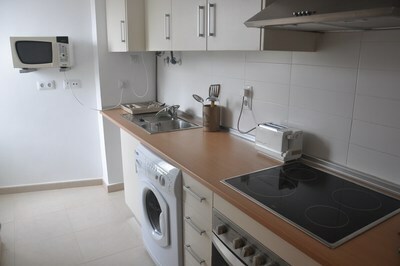 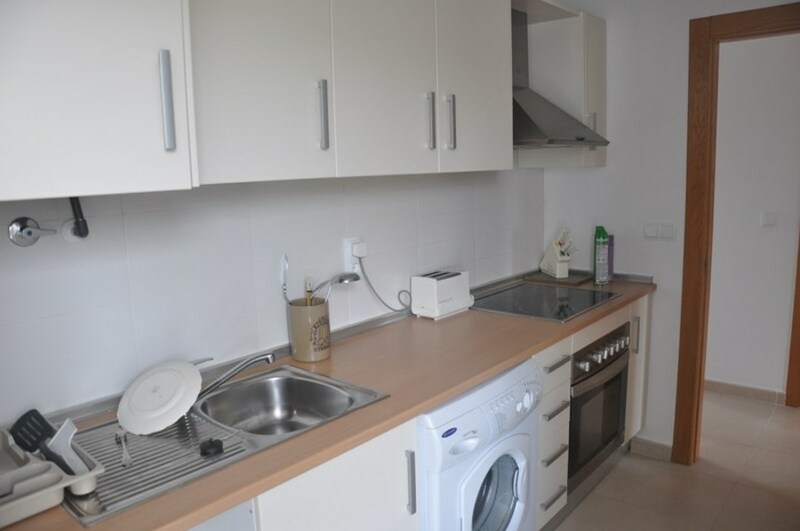 back inside, from the living space, there is a modern kitchen with a selection of appliances. 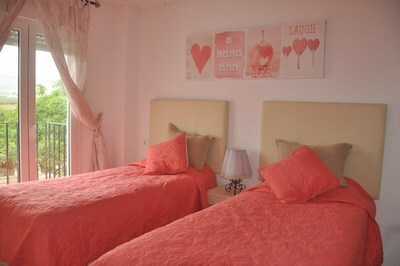 The accommodation comprises of 2 large double bedrooms with fitted wardrobes and a modern house bathroom. 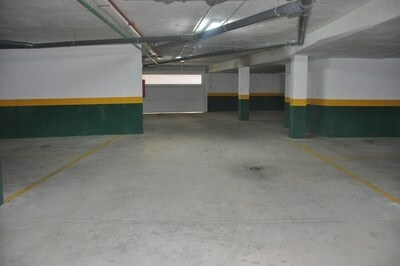 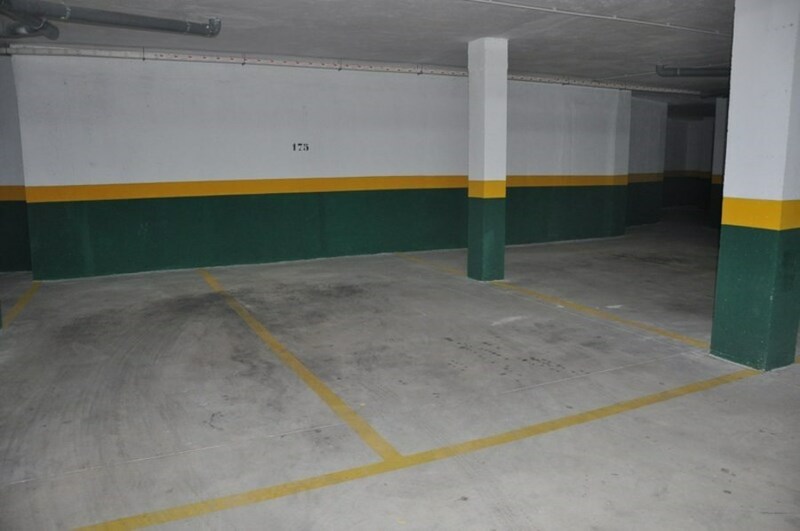 This property also has air conditioning throughout and secure underground parking. 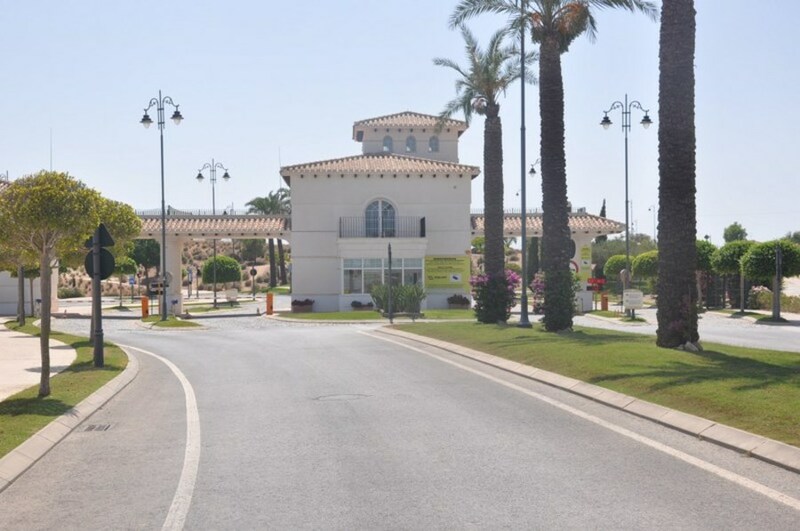 Outside in the resort, there are several childrens play areas, the large communal swimming pools, manicured gardens, and the town centre where there is a fantastic bar and restaurant and the supermarket.